I use AutoCAD since R14. It already has paperspace (old term for old people like me, AutoCAD layout to younger you), but using model space is still very common. And it looks like my tutor was too lazy to teach me how to use paperspace. So I’m quite familiar with modelspace until I decided to use AutoCAD layout. 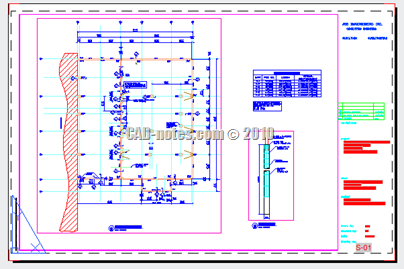 AutoCAD layout today is very simple and very powerful to use. I wish we had this in early 90’s. It makes setting up plot easy. And there are many advanced features we can use with layout. I’m not sure why today people still prefer to set their drawing border and title block in model space. I can understand if you are a veteran AutoCAD ninja who already comfortable with it. And I do know some drawings don’t need to use layout, especially schematic drawings. But for the younger users, I expect them to start using layout. There are many advantages of using layout. These are 10 advantages I can find. 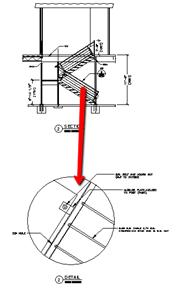 First, using AutoCAD layout will simplify the drawing. Below we have several drawings with different scales. How do we do it in model space? We were actually draw them in different scales. If you have a detailed view, then you have to copy and scale that part of your drawing. When we need to change it, then we have to update them all manually. Using layout will give us several advantages below. It doesn’t matter if you have 2, 4, or 10 different scales in your sheet later. We can always draw in full scale 1:1. Even for beginners can easily complete the drawing without having to think how they need to scale the drawing, creating different dimension styles, etc. Even we only draw once with full scale, we can represent the model many times. We can represent the drawing with several viewports, showing different area of the model. Sometimes we simply need it because the model is too large for one sheet. And sometimes, we need it to show it in different scales for detailed drawings. Because we only draw in one model, we only need to update the modelspace. Other viewports will automatically updated. We don’t have to update each drawing separately. Let’s see image below. We have a stair section and create a detail from it. When we need to add dimension to both drawing, we have to create two dimension styles. They have different scales, so we need to create another dimension and control the dimension value by changing the scale factor. If you scale it 4x, then you need another dimension style with scale factor 1/4. You can override the properties manually, but it will take more time. If you don’t understand, it’s OK. It can’t be explained in a paragraph or two. That’s what nice about layout: less confusion. You have to switch between dimension styles and can bring unnecessary mistakes. What if you have 3 or 4 different scales? 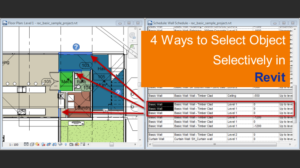 What if in your model space you have more than one sheet with more different scales? You will have many styles! Another good thing about layout is it’s easy to control the drawing scale. As we discussed in no.1, we only need to draw in full scale. We can arrange them easily in layout. It’s not so easy to explain how to apply scale, drawing border, and placing title block in model space to a new user. Using viewport, it’s easier to explain. You can create a viewport, select it, and change the scale using viewport scale at the right bottom of your screen. In the past, we have to use zoom scale. 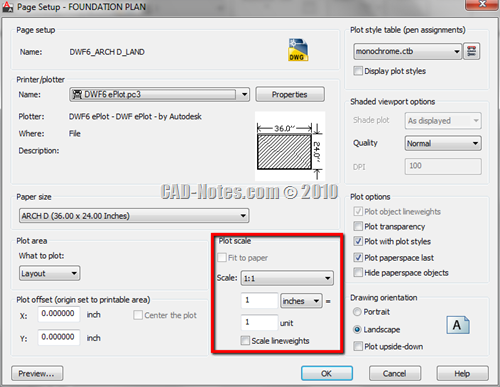 But today, it’s very easy after AutoCAD has scale list feature. You can see how it work in YouTube video, go to this viewport tips to see it. If we work with modelspace, we treat it like drawing manually in a paper. When you need to represent a drawing several times, then you need to copy it to show each instance. Layout allows you to draw one model, and represent it several times. In no.2, we already discussed how we can show different areas with different scales. But there are more. Each viewport can be configured to have different angle orientation. I don’t explain much about it here, but you can do it with single drawing in model space too. For example you want to show a site plan with true north orientation. 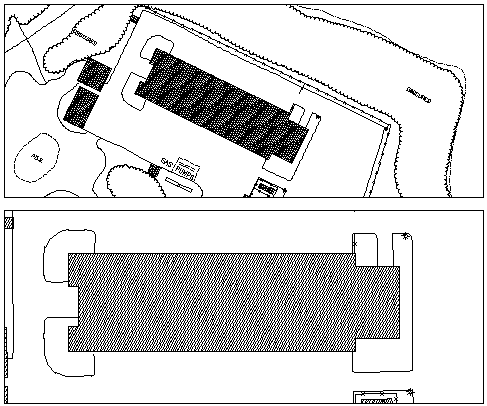 But you also want to show a building plan in the site plan with different orientation. It’s quite easy to do it with layout. 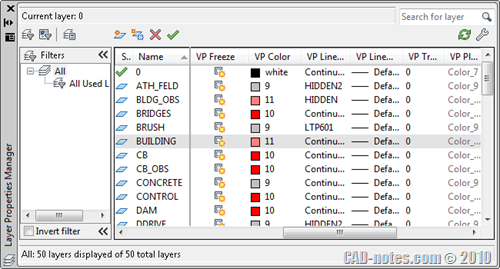 Since AutoCAD 2008, we have ‘layer properties per-viewport’. We can set the layer properties for each viewport independently. For example, you can turn on hatch layer for detailed drawing, but turn it off for larger scales. You can show detailed objects for some viewports, and hide it for the others. You can also read how I use it with layer states. 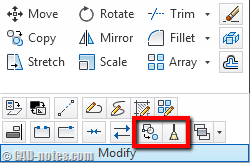 Another great feature that has been added to AutoCAD is annotation scaling. We can use it in model space, however, we can get the benefits mostly in layout. Previously, we discussed how we need only to create one drawing and we can represent it in different scales. Annotation scale allow us to do it with annotation, ensuring our annotation readable in different scales. And because we only create one annotation for all scales, any changes will reflected to all of your viewports. If annotation scaling doesn’t not suite your needs, you can annotate your drawings in layout. It’s probably the most comfortable way for many users. Each of them has it’s own benefits. Either way, they are easier to manage than setting your sheets in modelspace. Another good thing about layout is we tell AutoCAD to recognize the sheets. It allow us to use other features that relate to layout to manage and automate several processes. What are they? Printing preferences are very easy to set when you use layout. If you are not familiar with setting up sheet in modelspace, remember that we draw in full scale. Then we add a border and title block to include the drawing. We need to calculate the scale in plot scale below. With layout you simply select the paper size, and always use 1:1 full scale. Plot margin will be shown in dashed lines. You can also use page setup to quickly apply your settings. 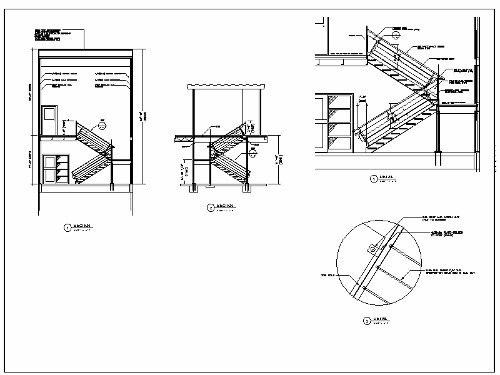 It is very easy to comprehend, even if you don’t use AutoCAD intensively. If your company already has a template, it will be easier for you. Sheet set is a good tool to manage your drawings in a project. If you are not familiar with it, you can try to download these white papers or take a look to our e-book: document management with AutoCAD Sheet Set. In short, we can manage the sheets so we can easily access them. After we have a drawing set, we can eTransmit and pack the whole project files as one zip file, ready to send along with dependent files. We can also plot them all at once with publish command. Other advantage you can get is sheet set fields. 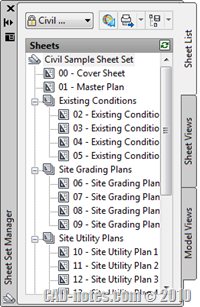 Sheet set has it’s own fields, you can show the sheet number, project name, and so on. 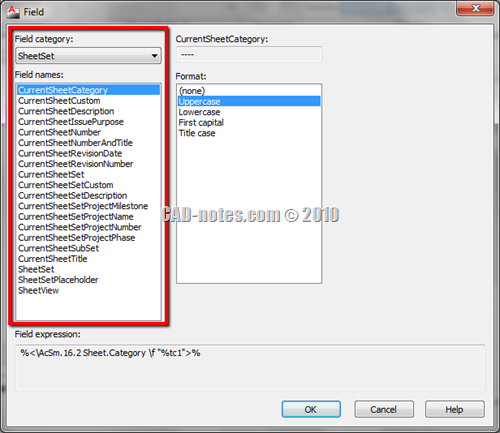 You can also create sheet list automatically. Sheet Set takes it further! You can plot many drawings at once with sheet set’s publish. However, if you don’t use sheet set, you can also use publish manually and add layouts from many layouts. You can plot many layouts at once, even send them to different plotters! Can we use batch plot if we set the drawings in modelspace. Yes, but it means you have to create saved views, and create a page setup for each saved views. As I mentioned before, you may find using layout is not that useful for you. Maybe you can list your reasons why shouldn’t use it. And if you do like it, do you have more reasons to love it? Does anyone knows of a software to pass all the drawings made in Layout to model space ? Revit model usually is not as complicated as an AutoCAD drawing. You can select objects easier before you modify it. However, in a complex model, you need a method to select multiple objects faster. You want to select them based on specific properties. For example, you want to select all walls with a specific type. Or you want to select all walls with a specific function. We cover different methods in this article that you can use.